Owned by Bob Cattelino No schemes, no gimmicks Quality, value-priced vehicles Friendly Service with respect & honesty Countless hours are spent searching for QUALITY vehicles that we can take pride in selling To contact Top Notch Pre-owned Vehicles please click here. Video Production for the Motorsports Enthusiast. Visit ARS Promotions by clicking here. 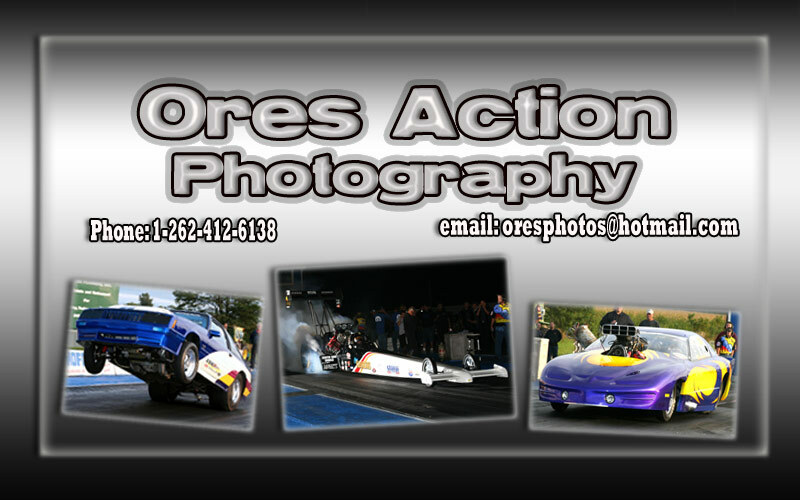 Ores Action Photography is owned by Peter Ores (“Boomer”). He is the primary photographer at Great Lakes Dragaway. Visit Ores Action Photography by clicking here. Great Lakes Dragaway is a 1/4 mile dragstrip located in Union Grove, Wisconsin. For more information on Great Lakes Dragaway, please visit their website by clicking here.